Relocating to a new house is stressful enough without having to worry about the logistics of an entire move. So when it comes to the heavy-lifting (literally), leave it to the professionals — professional movers, that is. Experienced Nashville, TN moving companies consist of expert movers and packers who can efficiently pack, move and assemble your Nashville belongings to ensure that you get off to a good start in your new home! Welcome to Move Us! We take pride in the quality of work and customer satisfaction that we give each and every customer! We are known to pay exquisite attention to detail while making customer satisfaction our top priority. All of our men have extensive training and experience in loading, unloading, blanket wrapping/ padding, packing & crating. In addition they are also background checked and regularly drug screened as well. We make sure you have a great experience from the quote to the delivery. Call Us Today For a Free Binding Not to Exceed Estimate. Let Move Us, Move You! We are Bargain Moving Company! 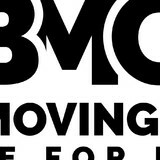 Established in 2005, Bargain Moving Company has been serving the local community for years. Started by two young men, the company has blossomed into a provider for many families. We at Bargain Moving Company, pride ourselves on reducing stress when it comes to moving. We believe “Quality” should be the foundation of every company. We also believe pricing should be clear and controlled. Bargain Moving Company is a local business. We consider our clients not only our neighbors, but our friends. We look forward to providing them with a personalized service that fits well within their budgets. We are always looking for new challenges, and we are ready to serve. Move on Relocation - Hard-Working and Dedicated team of Nashville Movers We are a professional moving company that won’t let you down. In the sea of Nashville TN moving companies, only one moving company is your right choice. Move on Relocation is a team of professionals who take your move seriously. We want you to be happy and satisfied during your move to a new home or an office. We are trained to handle commercial and residential moves in safely and time efficient manner. The only thing you have to do is to give us a call today. We are an everything out of the box service. Pre-move, I coordinate comprehensive utility transfer and set up, also shelf papering and delivery receipt. Post-move, I put away every thing in your home for a turnkey welcome home experience. Goin' Postal offers cheerful and professional service, low shipping rates, and long hours without the long lines. Other services and products include faxing,shredding,color and black & white copies, mailbox rentals, printing services, specialty and all-occasion greeting cards, packing peanuts, tape, boxes, mailing tubes,bubble wrap. We are a family owned and operated business. We are licensed insured and bonded. We are the damage free movers in Nashville. Whether you’re going across the city or across the country, the expert teams at My Town Movers have the ultimate solution for your big move. To date, we’ve helped thousands of residents coming to or going from the greater Nashville area, offering a host of comprehensive services to streamline their moves and create an efficient, affordable and, above all, stress-free process that gets everything where it needs to be fast. Our moving solutions are perfect for any residential or commercial move. With an eye on safety and personalized servicing, My Town Movers has long been the go-to for the greater Memphis area — and, now, with our move to Nashville we can help even more people like you have seamless, hassle-free moves every time.